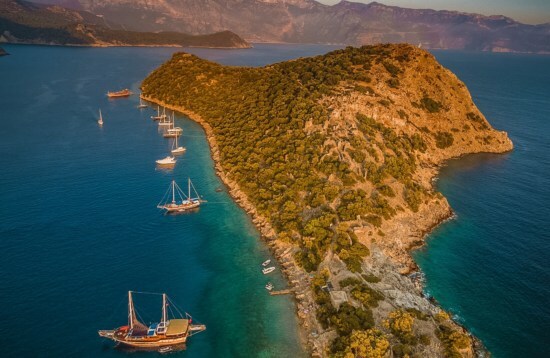 Nestled in a picturesque river valley along the Lycian coast, Olympos was an ancient metropolis founded in the Hellenistic period and is believed to have been named after nearby Mount Olympos. Coins around its ruins have been dated back to the 2nd century BC and there is evidence that it once served as one of the six leading cities in the Lycian League. By around 100 BC, the city had been taken by Cilician pirates and was the stronghold of Zenicetes, before a young Julius Caesar and Roman commander Publius Servilius Isauricus captured the city and it became part of the Roman Republic. Venetians, Genoese and Rhodians all left their mark on Olympos in the fortresses built along the coast, but by the 15th century, it had been all but abandoned. Today the atmospheric ruins of Olympos are draped in wild grapevines and flowering oleander, making it a photogenic destination on Blue Cruise gulet cruises. Soak up Turkey’s fascinating history as you wander the ancient streets, temples and bathhouses, with beautifully carved sarcophagi to discover. The neighbouring village of Çıralı is home to the eternal chimaera flames, which burn continually from the ground. This spectacular natural phenomenon is caused by natural gas seeping through the cracks in the earth and is best viewed after dark when locals come to roast marshmallows and cook their dinner on the open flames. Hephaestus, the god of fire and blacksmiths, was the chief deity of Olympos, while the chimaera was a mythical monster (part lion, goat and serpent) who lived in the woods and spouted fire from her mouth. Olympos is renowned for its popular treehouse accommodation, with guesthouses built on stilts within the forest canopy. 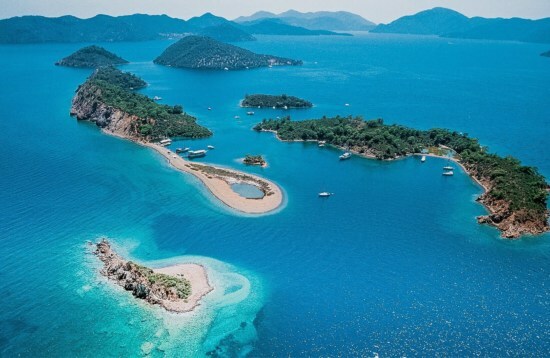 It makes for an ideal destination to begin or end a gulet cruise, allowing you plenty of time to soak up the history. 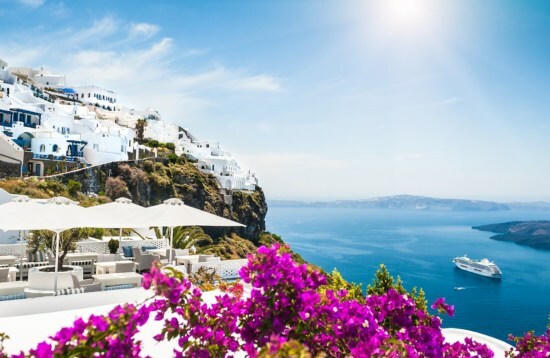 Blue Cruises follow this idyllic stretch of coast, dropping anchor at picturesque coves where you can swim in the warm, turquoise waters and admire the magnificent natural landscapes. Indulge in traditional Turkish cuisine on board and fall asleep listening to the water lapping at your yacht.